Cyberpunk 2077 and Witcher series developer CD Projekt Red has announced a “long-term partnership” with a Canadian studio. Digital Scapes is made up of developers from BioWare, Relic, and Radical, and has also worked with Dying Light developers Techland. What’s particularly interesting about that is the fact that the “long-term partnership” between Digital Scapes and CDPR is set to begin with Cyberpunk 2077. In a press release (via Eurogamer), the Polish developers said that “the Canadian partner studio will closely cooperate with CD Projekt Red on creating and optimising technological solutions for use in the development of Cyberpunk 2077.” What you may have figured out by now, then, is that this new partnership could be the latest piece in Cyberpunk’s multiplayer puzzle. 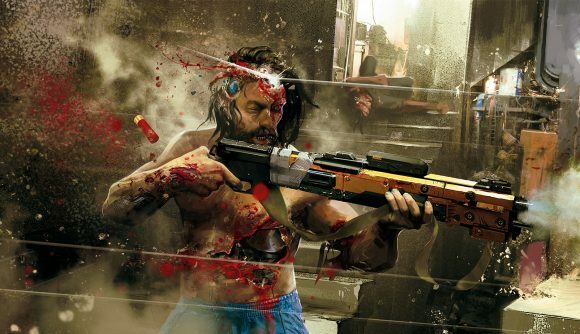 Cyberpunk 2077 multiplayer is all-but confirmed at this point. CDPR says it won’t be in place at launch – they’re focusing on providing a single-player experience first. That said, they’ve never ruled it out, and this summer the company began hiring for roles where “experience with shooters and multiplayer games” was a desired trait. There’s obviously no concrete information at this point, but there are more and more hints pointing at the eventual addition of multiplayer. The Cyberpunk 2077 release date is still unknown, and it seems you won’t get to play with (or against) your friends when the game first drops, so it looks like you’ll be a while to head to Night City with a companion at your side.